525 p., 25,0 x 31,7 cm. 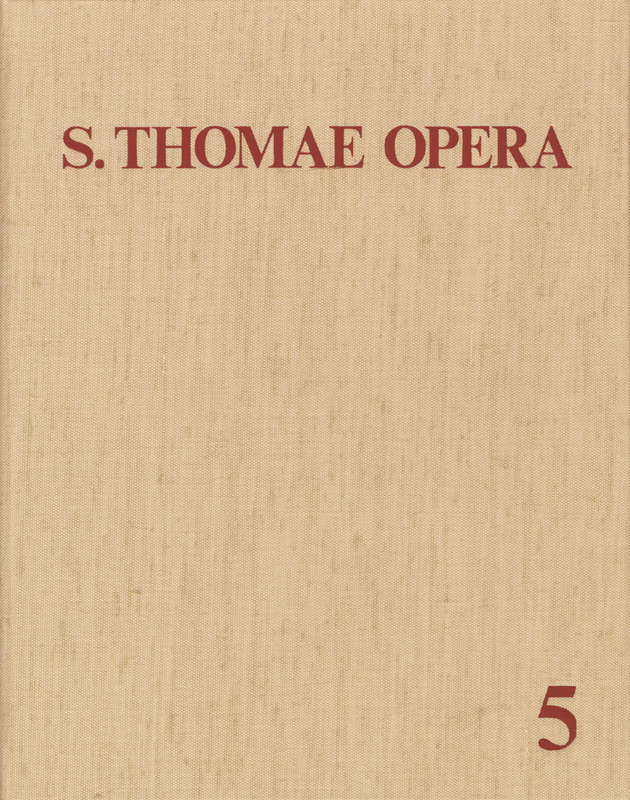 ›Sancti Thomae Aquinatis Opera Omnia‹ is the only complete edition of the works of St. Thomas Aquinas. The quality of the texts in these writings is excellent. Hundreds of these works were undoubtedly written by Thomas (1225–1274) himself. Added to these are 18 opuscules whose authenticity and origins have yet to be determined as well as 61 works by other authors which belonged to a Corpus Thomisticum, whether they were erroneously attributed to Thomas or whether they complemented the unfinished works that Thomas left behind.